Distance Education is a process to create and provide access to learning when the source of information and the learners are separated by time and distance, or both. In other words, distance learning is the process of creating an educational experience of equal qualitative value for the learner to best suit their needs outside the classroom. Yes, distance education or learning degrees are valid as same a regular degree in India. Distance learning University must have UGC and DEB approval, If the university doesn't have those approvals then the degree will not be valid, So first check the approval and reviews then apply for admission in distance learning. Click Eduway Academy Free online career consultation for more info. Yes, all the distance education degrees are valid for government jobs, if the University is approved by UGC and DEC. Yes, a distance education degree holder can appear for UPSC/IAS exam as long as the degree is from a govt recognized university. And you can do it through distance learning or regular course. Just that your university should be recognised by UGC. In the Government Sector, Distance Learning degree or diploma value is equal to regular courses. Advantage of distance learning is that it allows you to fit your learning around your home and work life. You can usually also set your own pace of study. It is your decision as to when and where you study. It doesn't matter where you live - you can gain a degree from anywhere in the world. This is the new age learning methodology and it is affordable. Distance education (Degree) approved by DEC, UGC/ AICTE is valid for both government and Private job at all level. Over a period of time distance education will take over regular courses. Yes long Distance education is a good idea now a days as it gives you the flexibility to continue your present life as it is while obtaining higher studies, so with learning you can also get work experience which will surely prove beneficial for you after you have done your MBA. Online learning and distance learning no longer mean the same thing. Distance learning is the 'traditional' self-study course, also known as a 'correspondence course'. Materials and learning resources are sent to students via post or email and students must complete the set tasks according to the course schedule. Major difference between these two forms of study is the pacing of classes or lessons. Correspondence is not in 'real time'. Assignments are sent to students, completed and then returned. These courses are also run over semesters, with a specific time required to complete the course and specific terms of study. Distance learning, which is also known as correspondence learning, can be done on either a full-time or a part-time basis. It is done in your own time completely, and there are no classes that you need to attend. This means that you have a large degree of control over how long it takes to complete your course. The difference is in the mode of study, while regular courses are classroom session courses where the student has to attend classes; correspondence courses are more about self study where the study material is sent to the student and he or she has to understand and learn it on their own. Both are equal. Distance MBA is acquiring management education through distance learning. The difference between a regular/full-time MBA and distance MBA is 'the element of distance'. In distance MBA, students have the flexibility to study from anywhere-any time. They are not restricted by any means and can also work while studying. Yes it is possible to get plum corporate postings after doing distance MBA. 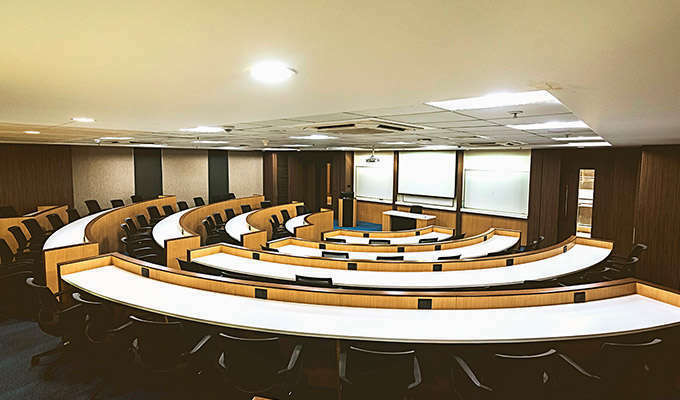 Though there are many university offering ditance MBA courses like Indira Gandhi National Open University (IGNOU),ICFAI Sikkim Manipal University,Annamalai University etc..But without doubt NMIMS distance learning courses are the best. All the top management institutions like IIMs, NMIMS , XLRI, SP Jain and few others offer PGDM courses and not an MBA degree program. This is a post graduate course that is offered by autonomous colleges or institutes. Part-time MBA courses are often seen as less competitive thanfull-time programs and can take longer than 2 or 3 years to complete. The main challenge for part-timers is balancing work and school, many times at the expense of social or family time. Yes, Part time MBA is a good Idea: It is the need to stay in work and to pay one's way through an MBA degree that attracts a proportion of candidates to part-time MBA degrees. To cater for this, the best business schools like NMIMS have very viable part-time MBA courses. Executive MBA - EMBA is a Master of Business Administration program that specifically targets corporate executives and managers. The program enables them to study and work towards earning this business degree while continuing to hold their existing full-time jobs. To pursue Executive MBA you need to have: A bachelor's degree or equivalent in any discipline from a recognised university. Around 3-5 years of post-qualification managerial/professional work experience. The Executive MBA Program does not require GMAT scores for most applicants. If the applicant does not have a bachelor's degree, the GMAT is required. In addition, applicants may be asked to take the GMAT if the initial review of their transcripts reveals specific areas of concern. NMIMS Mumbai is considered to be one among the top 15 B schools in the country.Contact Eduway Academy one of there best enrollment partners for a free online career counselling session. Yes Narsee Monjee is one of the best college in India. It has got the excellent infrastructure, best teaching materials and most important its placement cell. How to contact Eduway Academy for distance education?